In January this year, I was lucky enough to experience the annual pilgrimage to Lalibela in Northern Ethiopia for the Orthodox Christmas celebration. dynasty in the 12th Century. I travelled with a wonderful group of people and we spent 6 whole days exploring the town and photographing the pilgrims, the services at the rock hewn churches, village life and the various markets. All of the population of Lalibela are devout Christians and many pilgrims had walked for three weeks and more to get to the pilgrimage site. The piety and devotion of the people touched me deeply. Here is a collection of my favourite images from this amazing trip. For more images click here. 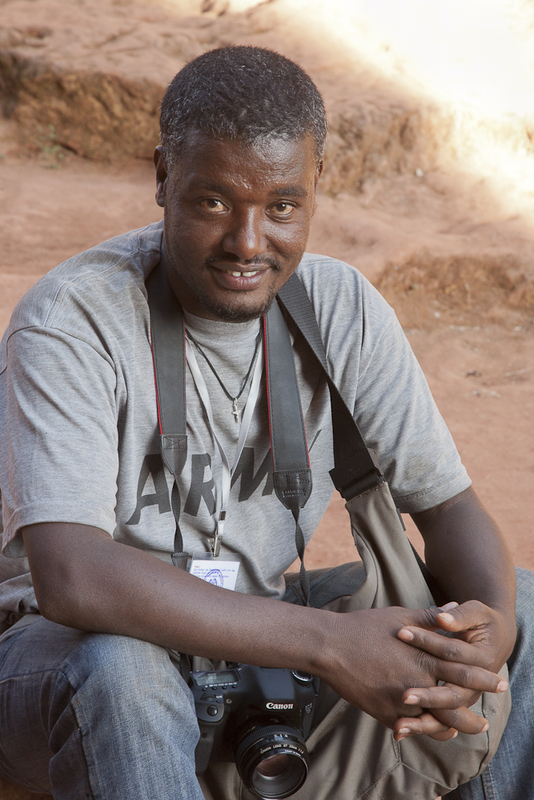 I would like also to mention my assistant and friend Mulugeta Asfaw, pictured below, and express my gratitude to him for looking after me, serving as interpreter which enabled me to connect with the villagers and some of the pilgrims and making the trip so special.He is currently completing his guide diploma and I am sure that he will succeed. We lived in Eritrea for three years, while it was still part of Ethiopia. One of our trips was to Lalibela and we were amazed by the underground churches and the belief of these people share. Your photos brought back many memories. Thanks you! Hi Meera, terrific photos on your last trip to Lalibella, would you recommend going there? Thank you Doug! Would definitely recommend you go. It is a magical place. Thank you Karen. Ethiopia was indeed amazing. Check out my new Photo gallery site from my website. Hope you are travelling and enjoying life.